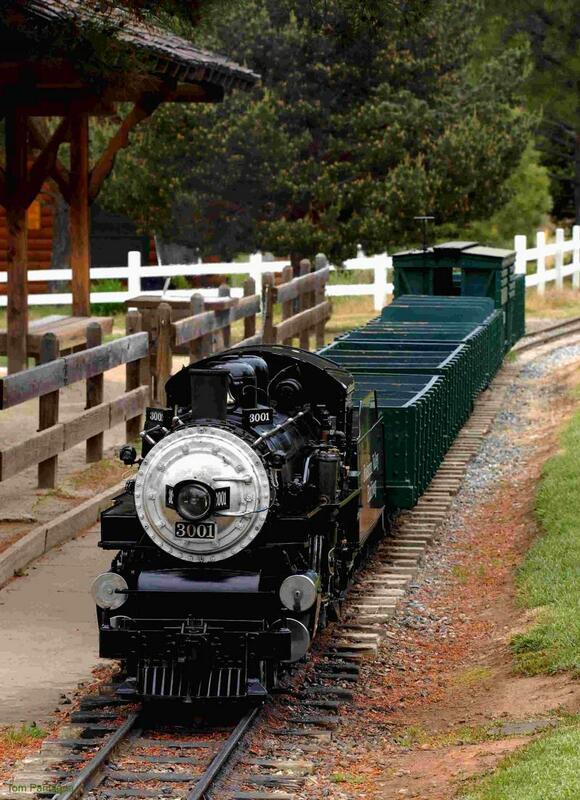 Folsom Valley Railway is beautifully situated in Folsom City Park along with the Public Library and City Zoo. Visit the Zoo & Library, ride the train and enjoy lunch in picnic areas. approximately 25 miles east of Sacramento. Folsom Valley Railway has been in continuous operation since 1970. It is the only 12 inch gauge railroad remaining in the United States, and only one of seven miniature scale replica steam-powered railroads in public operation. The Railway operates one of two scale authentic miniature steam engines on a 4/5 mile of track. The open car round trip ride lasts approximately 10 minutes.